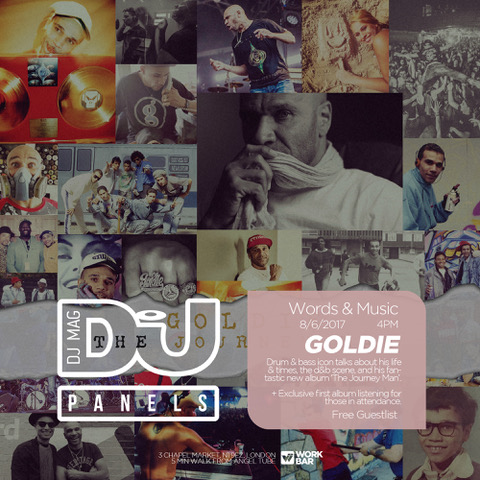 Goldie joins DJ Mag Panels for its next showcase on Thursday 8th June. The pioneering DJ and producer will be previewing his new double album, ‘The Journey Man’, which features 16 brand new tracks including his new single, ‘I Adore You’. ‘The Journey Man’ is available to pre-order now via Metalheadz/Cooking Vinyl. Tune in this Thursday 8th June at 4pm GMT to watch the event here or rsvp for free guest list here.